This menu allows the user to modify the general configuration for Veronte Pipe. IU Scale permits to set the interface scale for adapting the application screen to the screen size on the system. The Notify update warnings checkbox allows the user to receive an alert when a new update has been released for Veronte. 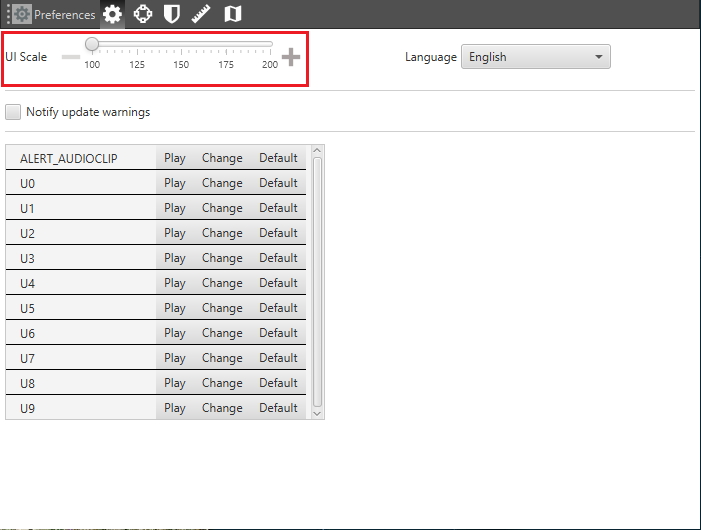 Alert Audioclips are used to manage audio files used on the application. They can be associated with system alerts on the Workspace configuration. 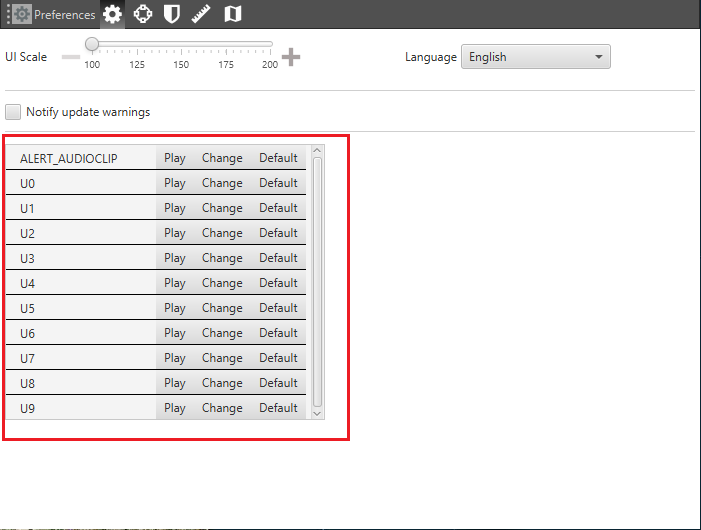 There are nine audio files plus the alert_audioclip. To substitute an audio file for another one, the Change button displays a browser to select a mp3/wav file stored in the computer. It is possible to return to the standard alert by clicking Default. 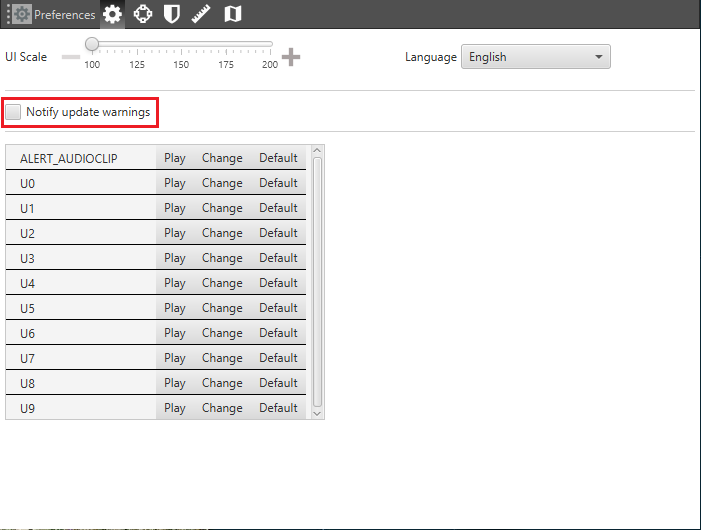 To configure the alerts on a certain scenario visit Gauge Display on Workspace section.